New Zealanders have long been avid readers, but until the mid-20th century most of the literature they consumed was imported from Britain. Historian and poet Keith Sinclair identified the 1950s as the decade 'when the New Zealand intellect and imagination came alive'. This flowering of creative and critical talent was not sudden, but the climax of a process that had begun at least two decades before. By the 1930s a new breed of New Zealand writers was emerging, assisted by the growth of universities and small publishing enterprises. The New Zealand centennial in 1940 provided a further boost to the local literary scene, and later that decade a state Literary Fund was established. By the 1950s there was a wider range of outlets for creative writing, including the influential magazine Landfall. New voices in poetry and drama were generating heated debate over identity and politics, while writers of novels, short stories, children's and popular fiction were also finding new audiences. The 1930s saw the emergence in New Zealand of a new breed of writers, whose work usually embodied a reaction against established ideas and conventions. Often these writers were influenced by recent trends in literature overseas, notably modernism, and by social and political events such as the Depression. A growing, if narrow, sense of nationalism was expressed, focusing on the dilemma of Pākehā who still looked to England as 'Home', but increasingly identified with New Zealand through ties of kinship and daily experience. Some major literary figures of the 1930s, including short-story writer Frank Sargeson, poets Allen Curnow, A.R.D. Fairburn, Denis Glover and R.A.K. Mason, and Glover's printer associate Bob Lowry, remained active in the 1940s and 1950s. During the decade some significant changes occurred in the literary scene. More and more, those engaged in literary pursuits began to be associated with academia, rather than journalism as had previously been the case. Several magazines publishing new writing were founded by university staff and students; the most prominent of these was Phoenix, an Auckland University College publication. The influential Christchurch periodical, Tomorrow, received strong university support. It became somewhat easier for New Zealand writers to be published. Several innovative small publishing enterprises, notably the Caxton Press in Christchurch and the Unicorn Press in Auckland, provided alternatives to the mainstream local firms of Whitcombe and Tombs and A.H. & A.W. Reed. The New Zealand Listener, which developed into an important forum for debate and creative writing, was established in 1939. The first Labour government's support for literature and scholarship was shown in funding for a series of historical and critical publications to mark the country's centennial in 1940; this provided recognition as well as employment for a number of writers, historians and critics. In some ways war interrupted the work of New Zealand writers; in others it acted as a stimulant. For those who joined the armed forces, such as Eric McCormick, Bruce Mason and Dan Davin, experience of travel and danger provided creative impetus and a new perspective on their country of birth. From 1941, New Zealand writing gained some international exposure through John Lehmann's monthly publication, Penguin New Writing. New Zealand New Writing, a local version produced between 1942 and 1945, was another vehicle for fresh talent. The belief that New Zealand culture was worthy of serious comment was behind a burst of critical writing, beginning in 1940 with the publication of Eric McCormick's ground-breaking survey Letters and art in New Zealand. This was closely followed by a wide-ranging series of essays by Monte Holcroft, the first of which was entitled The deepening stream. With peace came a sense of renewal and some crucial innovations that helped literature to flourish. New Zealand universities began to expand rapidly after the war, and once again, they proved havens for writers. The University of New Zealand began publishing books in 1949. A controversial but significant move, championed by the influential public servant Joe Heenan, was the establishment in 1946 of a government Literary Fund to provide writers with financial assistance. Pre-war publishing enterprises, notably the Caxton Press, were revived, and new ones began, for instance the Paul's Book Arcade imprint of Blackwood Paul. Once Monte Holcroft took over the editorship of the Listener in 1949 even more creative writing was featured, and Māori writers were encouraged by the establishment of Te Ao Hou in the early 1950s. Possibly the most momentous event was the founding by poet and editor Charles Brasch of Landfall. This quarterly journal, which first appeared in 1947, came to dominate literary life, though a number of other small magazines were soon set up in competition with it. The 1940s and 1950s were favourable times for poets and poetry, and lively communities of poets sprang up in the main centres, particularly Wellington and Auckland. Debate about the nature of poetry sparked some heated exchanges. Allen Curnow's anthology, A book of New Zealand verse 1923–45, provoked a reaction from emerging poets such as James K. Baxter, Louis Johnson and Kendrick Smithyman, who objected to what they saw as Curnow's insistence on a nationalist agenda for poetry. They argued that New Zealand poets, now secure in their identity, should express themselves on universal themes in an international context. A related viewpoint was that New Zealand poetry should move on from expressing alienation and isolation and develop a more confident vision of nationhood, inclusive of Māori. Underlying the positions was a tension between modernist and romantic approaches to poetry. The debate was advanced by a passionate speech at the 1951 Writers’ Conference in Christchurch by James K. Baxter, who claimed pre-eminence for the Wellington group of poets, which included himself, Alistair Campbell, W.H. Oliver, Louis Johnson and Hubert Witheford. Sparring continued throughout the decade. Publication opportunities for poets were plentiful: the Year Book of the Arts in New Zealand ran from 1945 until 1951, when it was succeeded by New Zealand Poetry Yearbook. The 1956 Anthology of New Zealand verse, compiled by Robert Chapman and Jonathan Bennett, published many of the younger poets whom Curnow had overlooked in his 1945 anthology, including new women poets such as Mary Stanley. However others, including Ruth France (who used the pen name Paul Henderson), found it difficult to make their voices heard in a male-dominated literary milieu. The Depression and the advent of 'talkies' in the late 1920s brought an end to regular tours of New Zealand by British and American professional theatre companies, and thereafter a thriving local amateur dramatic movement emerged. Isabella Andrews was one of a number of playwrights who achieved success during the 1930s and 1940s through the original play competitions of the New Zealand branch of the British Drama League. In the same period, the rise of left theatre groups provided opportunities for writers with radical political sympathies. 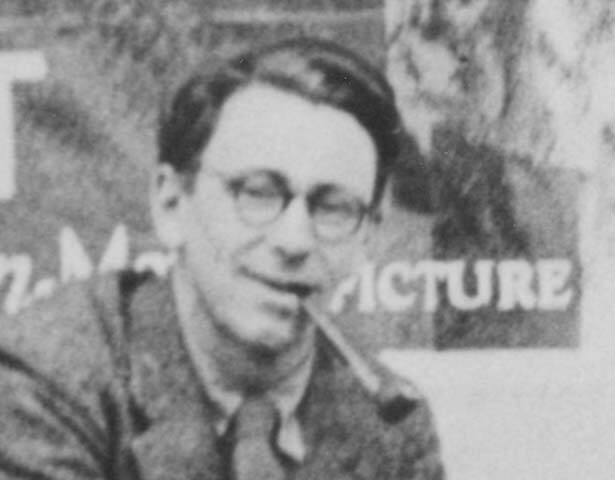 Although prominent figures such as Charles Brasch, James K. Baxter and Frank Sargeson wrote plays, the best-known playwright of the 1950s was Bruce Mason. He addressed the question of cultural identity by exploring Māori themes and the disintegration of traditional values. With professional theatre in its infancy in New Zealand, Mason pioneered solo performances and also contributed to the development of radio drama. Much fiction of the 1940s and 1950s concentrated on the plight of an isolated individual in a hostile, puritanical society. This theme mirrored the actual struggle of many New Zealand fiction writers to make a living and achieve acceptance. Among those who produced significant novels were expatriates Dan Davin and James Courage, and younger writers including David Ballantyne, Ruth France and Janet Frame. Although Frank Sargeson's 'realist' narrative style with its blunt New Zealand idioms dominated, some fiction writers experimented with impressionism to convey the intensity of individual experience. Maurice Duggan transcended realist conventions in his short stories, drawing on a wide range of textual models, while Helen Shaw was one of several women short-story writers who broke free of the prevailing focus on masculine concerns and pursuits. In the 1940s the School Journals produced by the School Publications Branch of the Department of Education changed in character to focus entirely on high-quality fiction. Many writers had their first stories published in the Journals, for which some of the most prominent, including James K. Baxter, Maurice Duggan and Louis Johnson, were editors. However, the best-known children's stories of the 1950s, the Hutu and Kawa series by Avis Acres, achieved their popularity largely through enchanting illustrations. Thrillers, romances and other popular writing presented an interesting counterpoint to the concerns of 'serious' fiction. Often these genres supported positive stereotypes about New Zealand and New Zealanders and deliberately avoided analysis of social and political issues in a calculated attempt to appeal to both local and international audiences. This tradition, which had taken root in the 1930s with the work of Nelle Scanlan, Rosemary Rees, Mary Scott and Ngaio Marsh, was carried on by romance novelist Essie Summers and crime novelist Elizabeth Messenger. By the end of the 1950s, the environment for New Zealand literature was much more favourable. The time was ripe for emerging writers to challenge, subvert and transcend the concepts of nationhood which had been formulated in recent decades. This web feature was written by Nancy Swarbrick and produced by the NZHistory team. We have 7 events in history, 14 biographies, 3 articles, related to Making of New Zealand literature.